NUFC loanee suffers “nasty” injury…just moments after leaving fans hugely impressed – NUFC blog – Newcastle United blog – NUFC Fixtures, News and Forum. 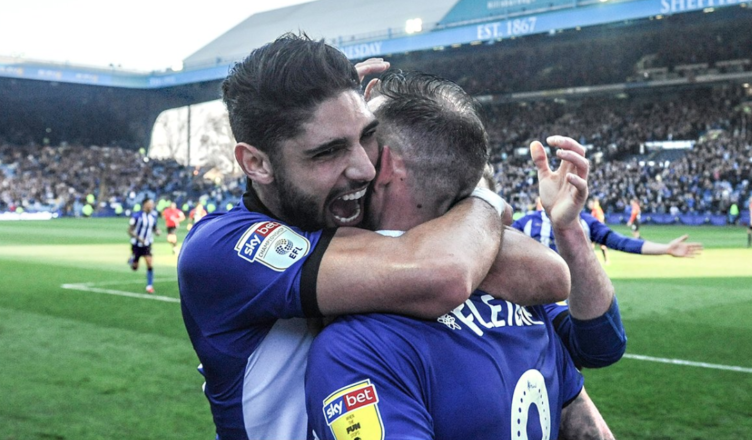 Achraf Lazaar has left Sheffield Wednesday fans impressed after playing his first few games for the club – only for Steve Bruce to confirm that he now looks to have picked up a ‘nasty’ hamstring injury. #swfc as debuts go, Lazaar had one of the best I’ve ever seen a Wednesday player have. I’m shocked by how much of a difference he made today. It’s fair to say he’s made an immediate impact and left Wednesday fans hugely impressed – although he may be missing until mid April if this hamstring injury is as bad as first feared. I doubt he’ll force his way back into Benitez’s plans – even if he does do brilliantly on loan in Sheffield – however it is a shame for him that he’s set for a spell on the sidelines just as he’s starting to get his first run in a side following his nightmare spell at Newcastle. Fellow NUFC loanee Rolando Aarons is also impressing with the Owls, with him bagging two assists in their 3-1 win over Swansea over the weekend – also helping them in a 2-0 victory over Brentford just a few days ago to help consolidate his spot in Bruce’s starting 11. Very impressed by both. Lazaar looks sharp, confident and strong on and off the ball, shame he’s picked up a niggle. Aaron’s, pacy, direct attacking player who’s not afraid to run at people. #SWFC fans I think would agree that they’ve both made a good start.